A study conducted in London examined sleep patterns and death rates over two decades among 10,308 civil servants. 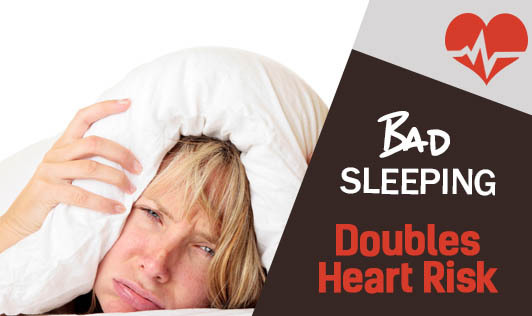 Researchers found both too much and too little sleep was linked to a doubled risk of fatal cardiovascular disease. They found a doubled risk among those who cut their sleeping from seven to five hours a night compared to those who stuck to seven hours a night. The researchers also found that those individuals who increased their sleep to eight hours or more a night were more than twice as likely to die during the period of the study compared to those who had not changed their habit. The findings indicate that consistently sleeping around seven hours per night is optimal for health and a sustained reduction may predispose to ill-health.